Many years ago, having a stone companion was a sensation, especially to cash-strapped hippies that couldn’t afford a dog. In this age of more, more, more, it was only natural for a suped-up, modern version of the phenomenon to be born. 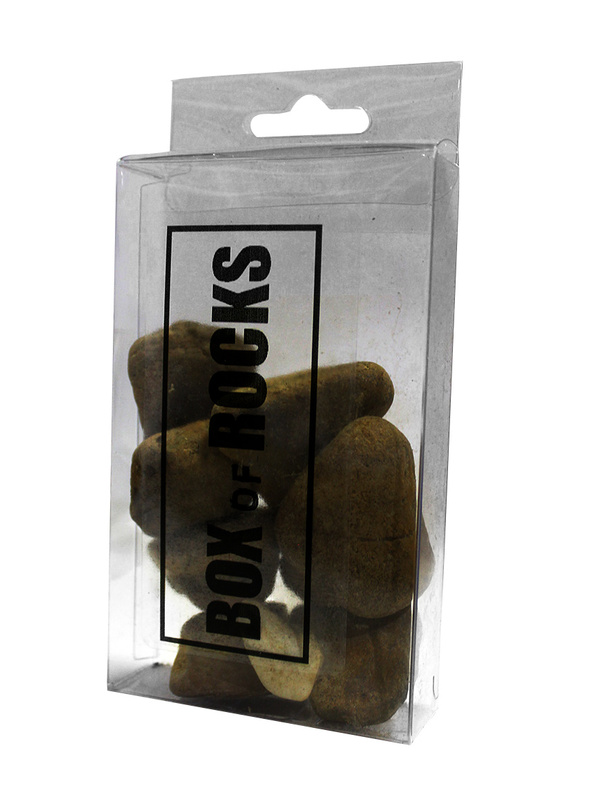 Our Box of Rocks is an array of handpicked rocks that will sit, play dead and sleep on command. Who would love Box of Rocks? 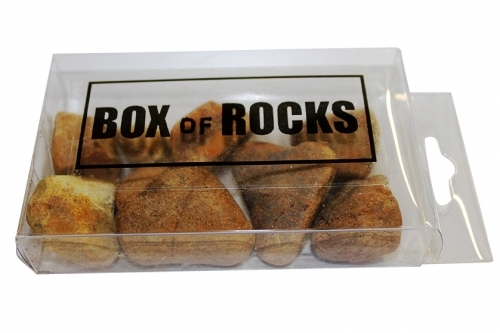 Anyone that needs the latest and greatest “thing” will appreciate the grandiose variety of Box of Rocks. 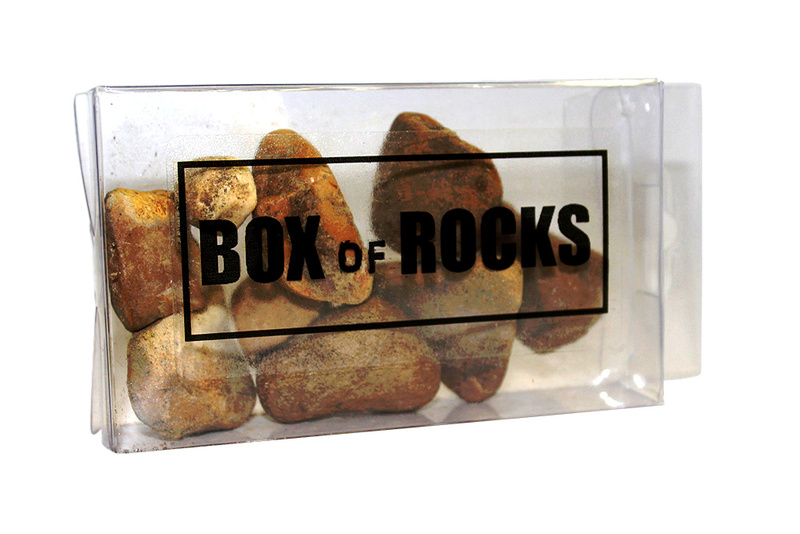 Even that hard-to-buy-for person that has everything is unlikely to have a Box of Rocks. And, every set of stony friends is 100% unique! Who doesn’t love an exclusive gift? What is your rock selection process? Excellent question! It’s absolutely fascinating! We ask a random dude to painstakingly scour our backyard for about five minutes to gather any and all the completely ordinary rocks he can hold. Then, he takes them to another dude who cleans them up and puts them in an official Box of Rocks container. Can I take them for a walk? You’re more likely to drag them for a walk than anything else, but that’s totally fine. Your rocks might leave a trail behind them, but most dogs do, too.